Scott C: We are excited to have the royal touch. We have our friend, Scott Smith, from Royal Legal Solutions join us here on the show. Scott, how are you doing? Scott S: I’m doing great, Scott. I think we did a show a few years ago, so it’s great to come back. 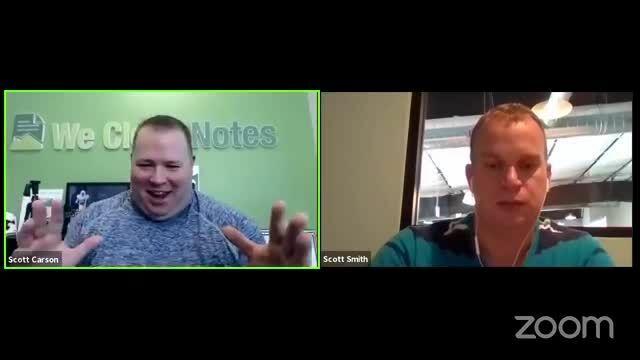 Scott C: We had you on one of our Note Night in America webinars about a year and a half ago and he helped me out with some great stuff and my series LLC, and you’d help out a few other students with some other things. We’re excited to have you back because you have an interesting aspect of things. You’re licensed to do business in Texas because you live here, but you’re also licensed to do business in New York, right? Scott S: Yeah. As attorney, it’s pretty rare to get multiple licenses, especially in states where it’s difficult to get bar certified in. I guess I’m just really, really ridiculously smart or something. Seriously, what’s been great is getting licensed in those two states, but then finding out as we built a law firm is that you can actually help out clients anywhere in the country, as long as you’re not appearing in court or trying to hang a shingle in other states. That really blew up our firm when we found that out, and I don’t know why more attorneys aren’t doing that. It’s been great now because I’m on great shows like yours and other podcasts for anything real estate related. Basically you’ll find my name associated with it and helping people all over the place. It’s been a lot of fun in the last two years. Scott C: You’ve been in business longer than two years, let’s just get that right there for everybody, right? Scott S: Yes. About five years we’ve been specializing in asset. I’ve been specializing in asset protection, but the last two years is when things really blew up. Once we discovered the power of internet and being able to help people in different stages of their investment.